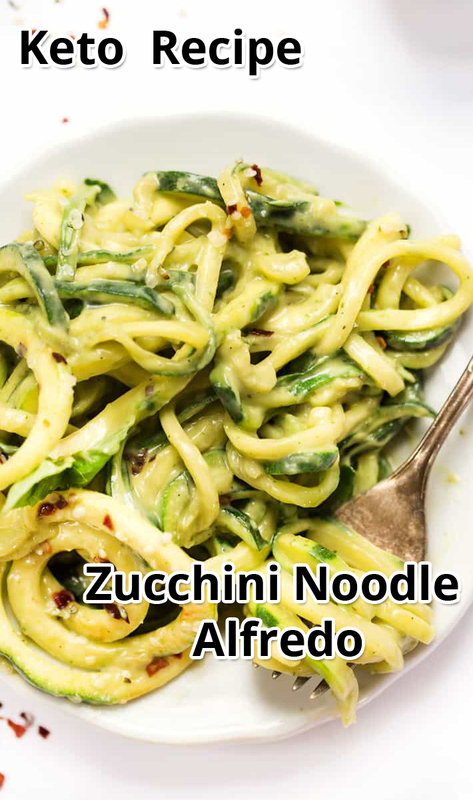 A zucchini noodles recipe with a creamy Alfredo sauce that’s also low carb, gluten-free & light. 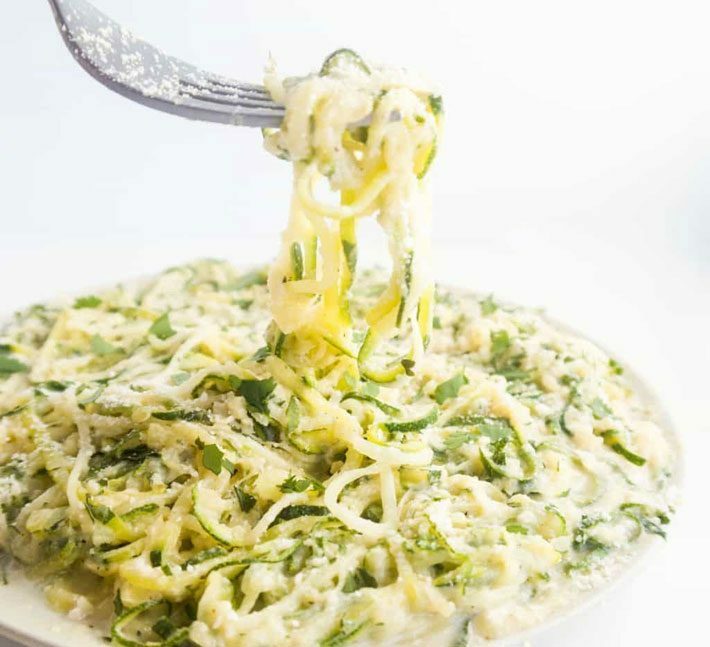 The Keto Zucchini Noodle Alfredo ever! This dish will let you snuggle down with a big cheesy bowl of noodles and eat to your hearts content. 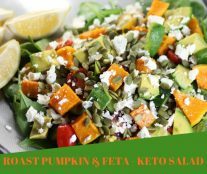 You won’t feel stodgy and over loaded like you did after eating pasta. Prepare the zucchini noodles using a spiraliser. Place the spiralised zucchini into a colander over the sink. Sprinkle with salt and leave to drain. Add the butter to a pan and melt. Add the garlic and cook gently until soft. Add the cream and bring to a simmer. Keep adding the shredded cheese in batches until it is all melted and you have a smooth, creamy sauce. It will seem like the cheese will never melt. Don’t get panicked and turn up the heat, just keep up the stirring and I promise it will happen. Pat the zoodles dry with a paper towel. Pour your olive oil into a frypan and heat. Toss zoodles in the oil and sauté very quickly, about 1 or 2 minutes, until just softened. Do not overcook the zoodles or they will become watery and mushy. Place the zoodles in a large serving dish and toss with the Alfredo sauce. Finish off with some grated parmesan, a sprinkle of black pepper and some fresh basil. Serve immediately, or let the sauce cool down, cover and refrigerate for up to 5 days. Serve with freshly prepared zucchini noodles. 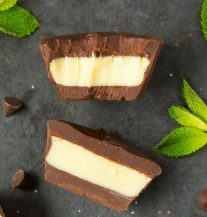 Do you have a printable version of this recipe? It sounds amazing. I would love to try it.